When I read the announcement that Windham Fabrics would be reprinting Heather Ross's Mendocino collection, I practically hit the ceiling. It's one of my favorite fabric collections and by the time I started quilting, it was already long out of print. When Windham sent me a fat quarter bundle to play with, I started sketching ideas to do this collection justice. 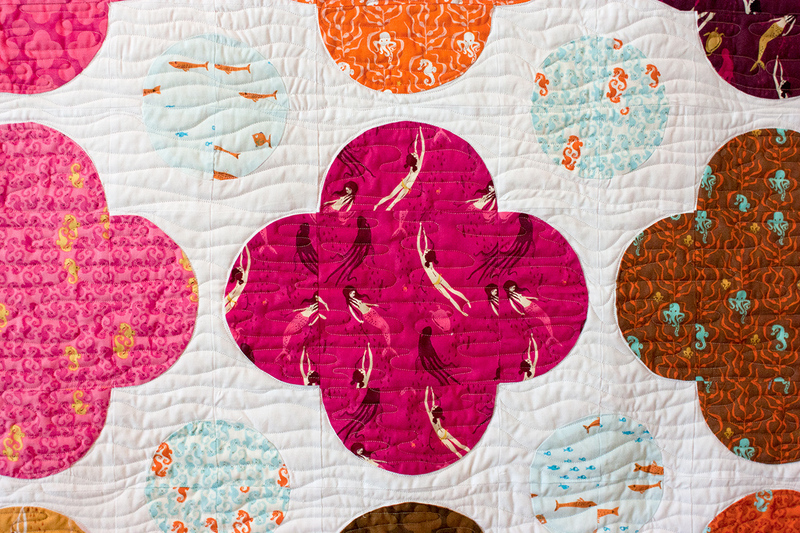 The shapes in the background of the octopus print caught my eye and I thought, "That would be a really cool quilt!" Windham asked to use the quilt in the look book for the collection, so I was biting my nails about how to quilt it. Quilting is probably one of my weaker points in the quilt-making process, and this was just too pretty for me to mess up. 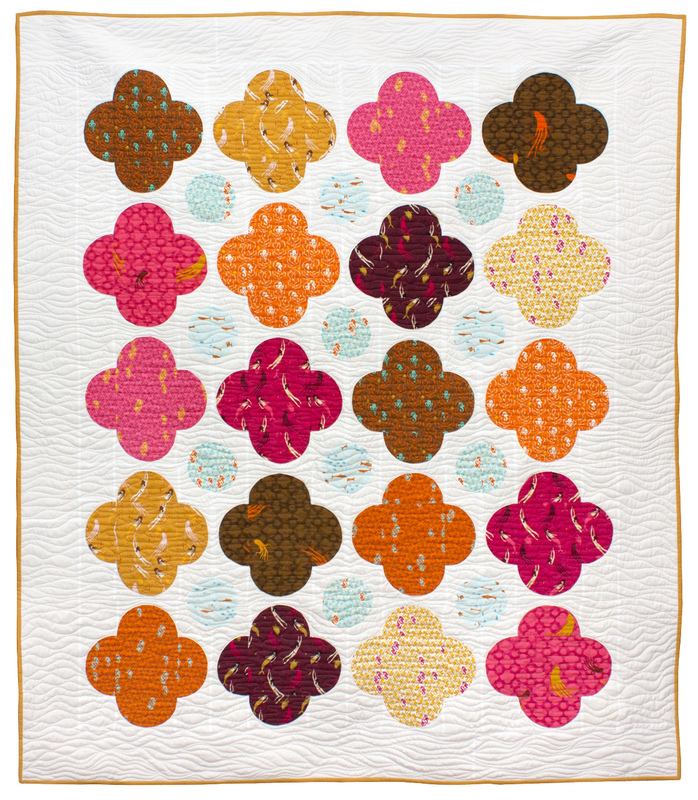 I made the decision to have a quilt long armed for the first time by my friend Pam Biswas. I've never not quilted one of my own quilts! It was hard to hand it off, but I was so glad I did. Pam did a beautiful job. After binding the quilt, I took some photographs, and packed my baby up to ship out to Windham. 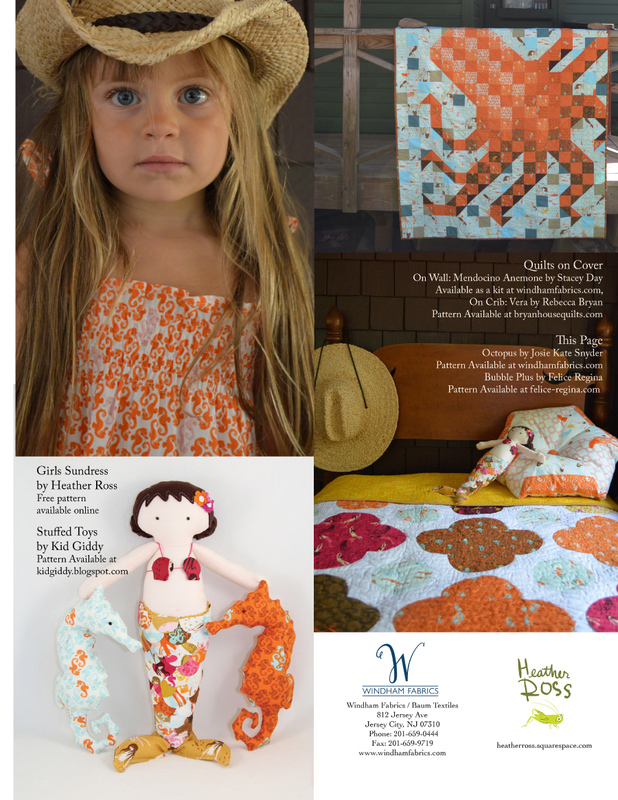 The Bubble Plus Quilt makes it's appearance on the back cover of the look book as well as the project book. 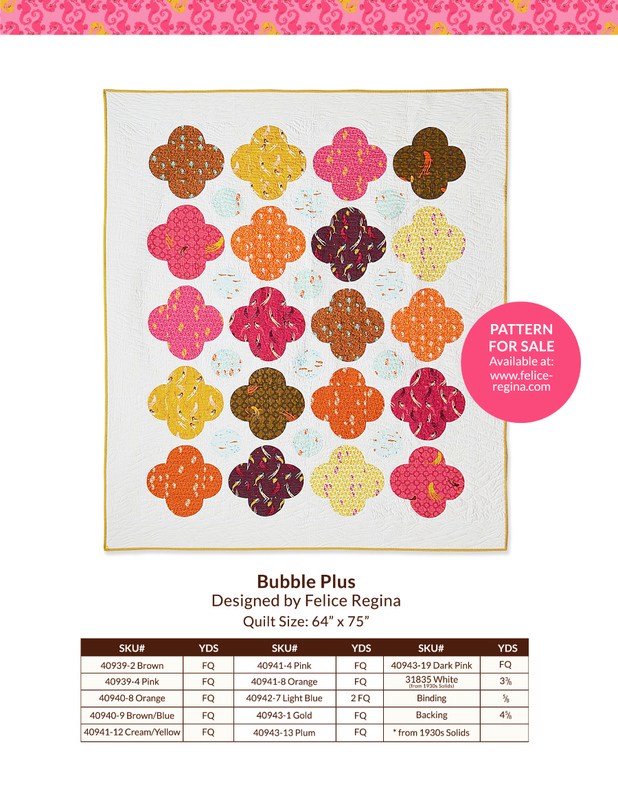 The Bubble Plus quilt pattern is available for purchase in my Craftsy shop. Mendocino will be shipping to stores in March 2016. I believe the quilt will be on display at Fall Quilt Market at the end of the month, so if you're in attendance, be sure to check it out!